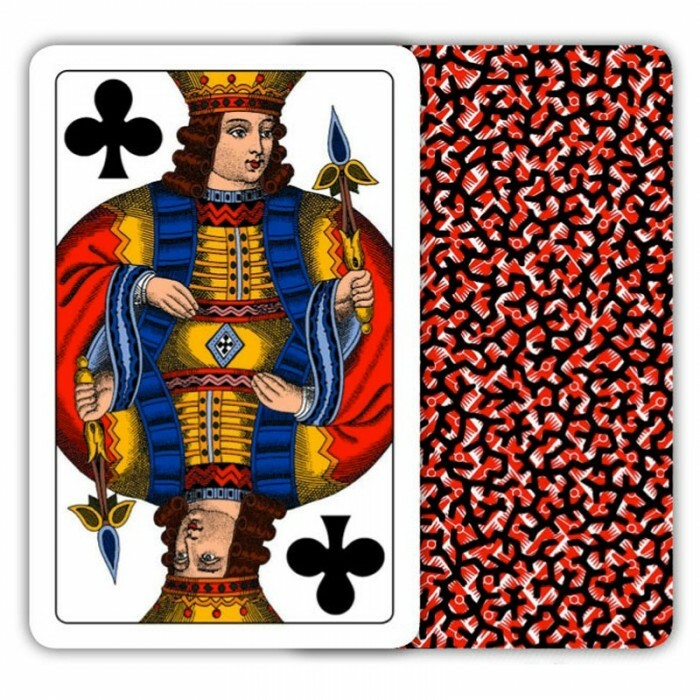 Préférence is an Eastern European 10-card plain-trick game with bidding, played by three players with a 32-dedicated cards deck; possibly originated during the early 19th century in Austria. Préférence was largely played by Russia highest aristocracy. A more complex variant is still played today in Russia (Russian: преферанс), Greece(Πρέφα), Austria, Italy (Trieste), Croatia, Slovenia, Serbia and Balkans countries. Contents: 1 deck 32 cards, French card suit - Duplex coating printing system for maximum strength and flexibility - Card size: 63 x 98 mm - Standard English rules leaflet included. 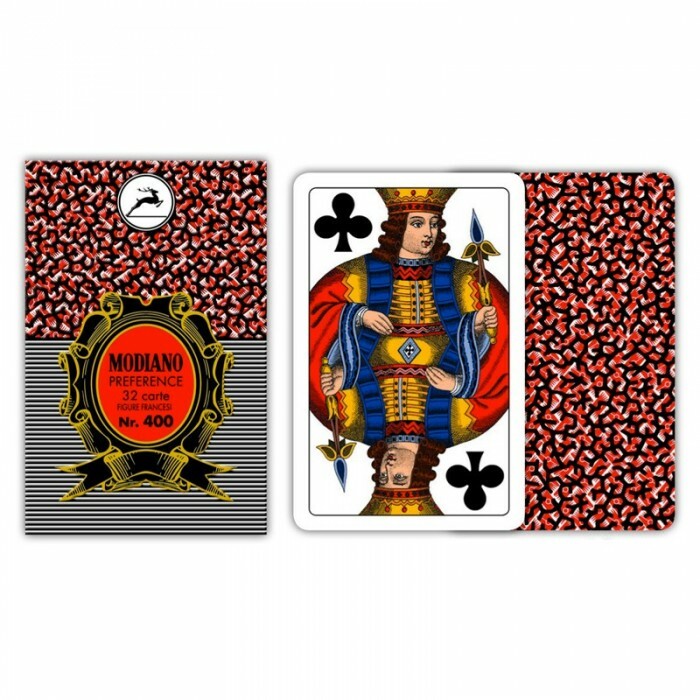 Modiano (Trieste - Italia) since 1868, is synonyms of Innovation, Mastery, Quality, Tradition , in crafting - production of playing cards.